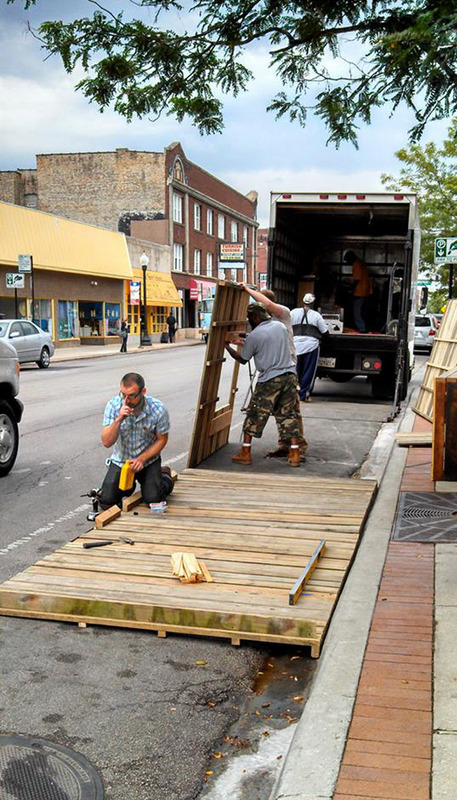 "Cityscape" is the most recent 'parklet' installed in the Andersonville neighborhood as part of the Chicago Department of Transportation's 'Make Way For People' program. 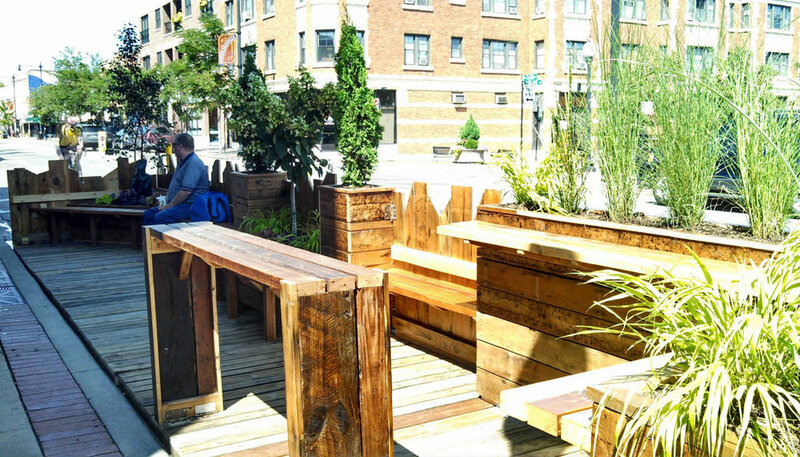 Working in collaboration with RX Made and Andersonville Development Corporation, the parklet is a reclaimed wood oasis over two parallel parking spaces. 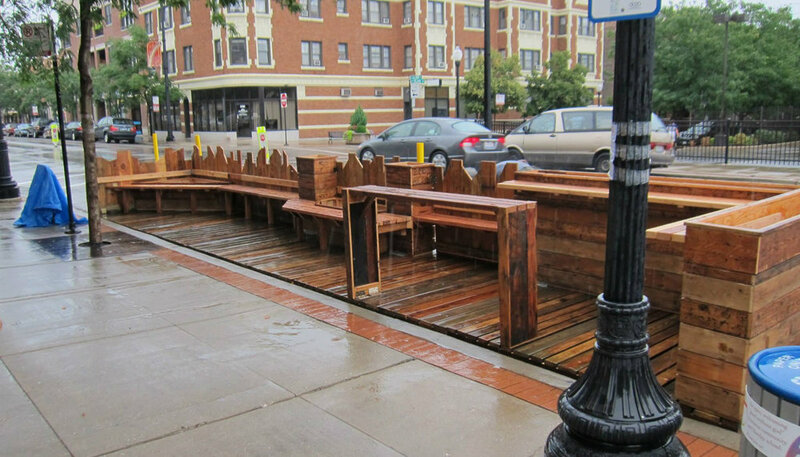 The design allows for various seating and standing configurations to enjoy purchases from the local retail establishments at an intersection of the neighborhood that has high pedestrian and bike traffic.